The Red Sox are having a night commemorating the 50th anniversary of "You're a Good Man, Charlie Brown" and the Peanuts gang on 6/29 and you can get your own limited edition Charlie Brown Red Sox Bobblehead by purchasing tickets through this special theme night link at http://redsox.com/peanuts. 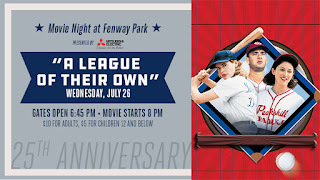 A League of Their Own, the popular Penny Marshall-directed 90’s movie about two sisters who join the first female professional baseball league during World War II, will be featured on the Mitsubishi Electric Diamond Vision® videoboard in center field at Fenway Park on Wednesday, July 26. To ensure the best viewing on the 40 by 100-foot Diamond Vision® videoboard, fans in attendance will be seated in the lower seating bowl and down the first base line. 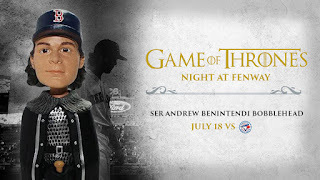 Fenway Park gates will open at 6:45 p.m. and the movie will begin at 8 p.m. Attendees will be invited to walk the warning track from 6:45 p.m. to 7:45 p.m., weather permitting. Concessions will be available. Former All American Girls Professional Baseball players Maybelle Blair (All the Way Mae), Shirley Burkovich (Hustle), and actress Tracy Reiner, who played Betty Spaghetti in the film, will greet fans as they make their way around the warning track before the movie. A League of Their Own is celebrating the 25th anniversary of its 1992 release. 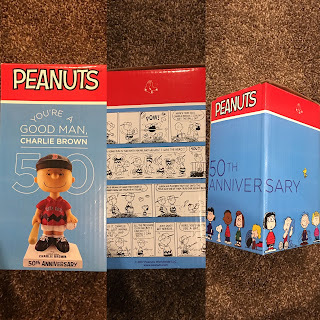 The PG-rated film stars Gena Davis (Dottie Hinson), Lori Petty (Kit Keller), Madonna (All the Way Mae), Rosie O’Donnell (Doris Murphy), and Tom Hanks (manager Jimmy Dugan). 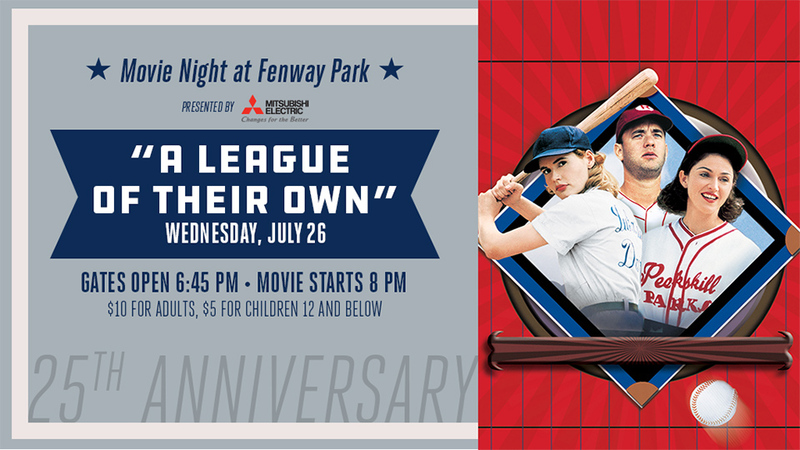 Tickets for “Movie Night at Fenway Park,” presented by Mitsubishi Electric, are available now at redsox.com/movienight or by calling (877) REDSOX-9. General admission tickets for the public are $10 for adults and $5 for children 12 and under. 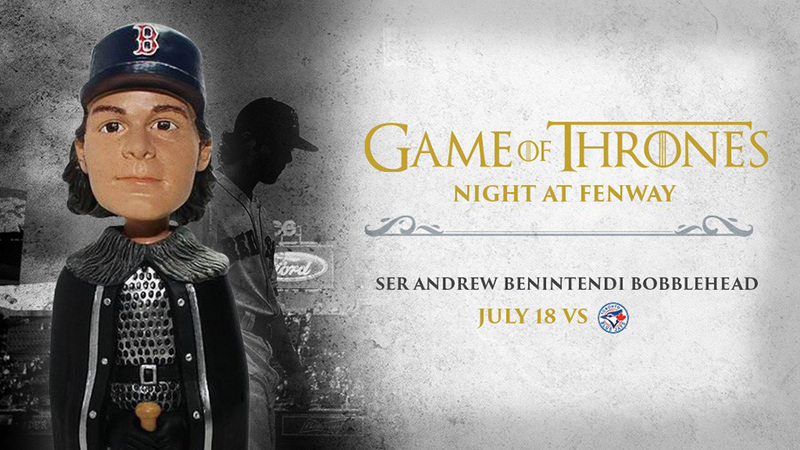 The event is free for Red Sox Season Ticket Holders. I'm very thankful to be a part of the Red Sox Parents program, which lets me share this information with my readers! 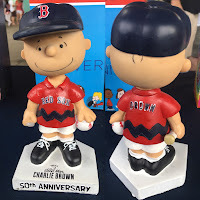 NOTE: I was provided with a Charlie Brown bobblehead for promotional purposes as part of the #RedSoxParents program. No other compensation was provided and all opinions are my own.